Job Title:Bid Engineer (6 month contract) Great opportunity to join a global leader in electrical distribution and develop a commercial bid strategy to ensure sustainable electrical engineering projects in the future. 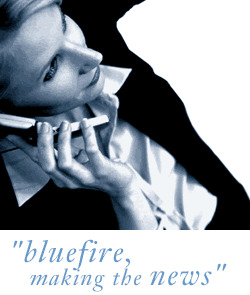 Location:East Kilbride Salary:£28 - £32 per hour The Role Bluefire Consulting are recruiting for a Bid Engineer to develop, manage and implement a commercial strategy for the bids and tendering process for an energy management company based at their offices in East Kilbride. Great opportunity to join a global leader in electrical distribution and develop a commercial bid strategy to ensure sustainable electrical engineering projects in the future. As a successful Bid Engineer applicant you must be able to demonstrate previous experience overseeing bid processes within a similar electrical or engineering organisation and have excellent engineering, switchgear and services knowledge. A HNC (or equivalent) in Engineering is essential with a degree (or equivalent) in the subject and knowledge of MV and LV being considered highly advantageous. SAP and CRM tool knowledge is also desirable and any applicant applying for the Bid Engineer position must have exemplary communication, organisation and IT skills. Our client is a world leading energy management organisation who operate in over 100 countries and are committed to their policies of sustainable development, energy efficiency and reliable outputs. Their operations within the UK cover a variety of markets and the projects a successful Bid Engineer will be working on tenders that include process automation, utility management across commercial and residential ventures, UPS, security and networks management.